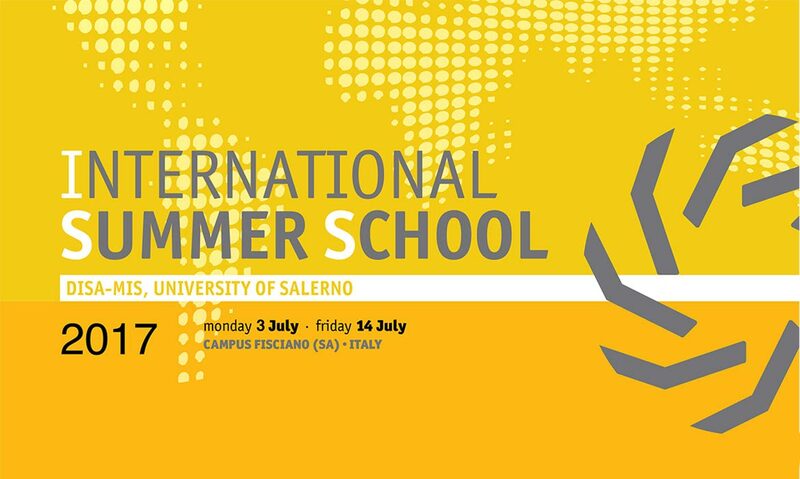 News: The Second Edition of International Summer School has started last 3rd July. The event has been organised by Francesca Manes Rossi, a member of the department of Economic Sciences, Management and Innovation System of University of Salerno. •	Cross-cultural management: Cultural Intelligence. Punto Netto well aware of the importance of such initiative, having as the main focus the strategies related to the Internationalization, Governance and Cross-Cultural Management, has chosen to take the field on the purpose to give support to University of Salerno. «Punto Netto has always been interested in initiatives taken by Universities located in Campania. Firstly, we were by the side of Seconda Università of Naples, the subject matter was the management of supplies at FCA plants, secondly we were by the side of University of Sannio, the subject matter was the Public Transport in Campania and his satellite activities. This year we support wholeheartedly the International Summer School, which takes place in University of Salerno during July – explains Gaetano Griso, CEO of Punto Netto – By donating these funds we still show all our interest mainly directed towards the professional development of our youth. We strongly believe in the education and training of quality, in the skills and in the use of integrated management system, very useful for the increase of analytical capacity and problem solving. All this will be strictly required to the future board management». The main purpose of ISS, fully supported by Punto Netto, is the promotion of internationalization paths for the students, offering opportunities of cultural exchange targeted at both Italian and foreign students coming from several Universities. The initiative also involves foreign lecturers, who are put in the best conditions of experimenting a new and unusual way of teaching. The International Summer School represents an occasion of advanced training for students and experts in the field, already having Bachelor’s degree in Economic Sciences. The training offered includes in-depth studies divided into modules concerning the issues of topical importance, according to the strategy of Internationalisation at Home.